Guardianship Attorneys in Fayetteville, AR | Brenda Vassaur Taylor, P.A. 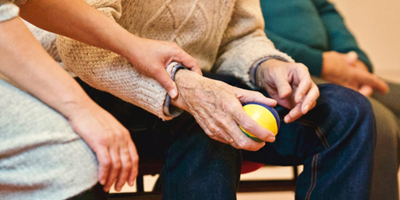 For clients who have assumed the responsibility of taking care of a loved one who is unable to physically or financially care for himself or herself, we represent guardians in guardianship proceedings, from the initial appointment to the final accounting. Our representation also extends to contested guardianships. Whether due to illness, injury or the loss of parents there are some children and adults who will need to be legally attended to under the care of a responsible adult who can adequately provide for them. In adults, mental and physical disabilities can incapacitate a person beyond their ability to care for themselves on their own. When this is the case, the court will need to appoint a legal guardian to step in and take over the responsibility of ensuring that this person receives the care, attention and emotional support required to lead a healthy lifestyle in light of their circumstances. In these cases, the Court will take away the incapacitated person’s rights, deem him or her a “ward,” and give those rights to a third party who will then be responsible for attending to the needs of the ward. Legal guardianship can also be applied to situations in which a child under the age of 18 is left without parents to properly care for them. Still a minor, these children or adolescents are in need of adult care. The Court will therefore need to assign a legal guardian who will be held accountable for the child’s care and overall wellbeing. When an individual is appointed as the guardian of an adult or child in need of extra care, they will be expected to operate under the same principles that would guide a typical parent. The goal will be to allow for the development of the child and as much freedom and growth as possible.